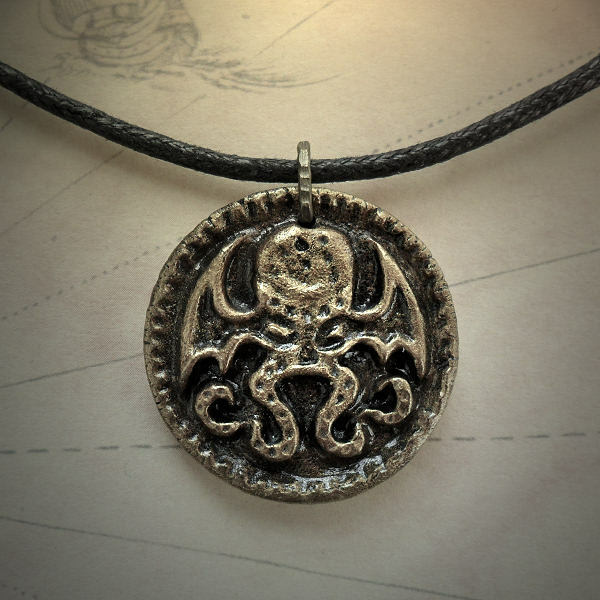 Inspired by the H. P. Lovecraft story 'The Call of Cthulhu', this pendant depicts the great elder god Cthulhu - an enormous and terrible abomination that lies waiting in the depths of the sea. 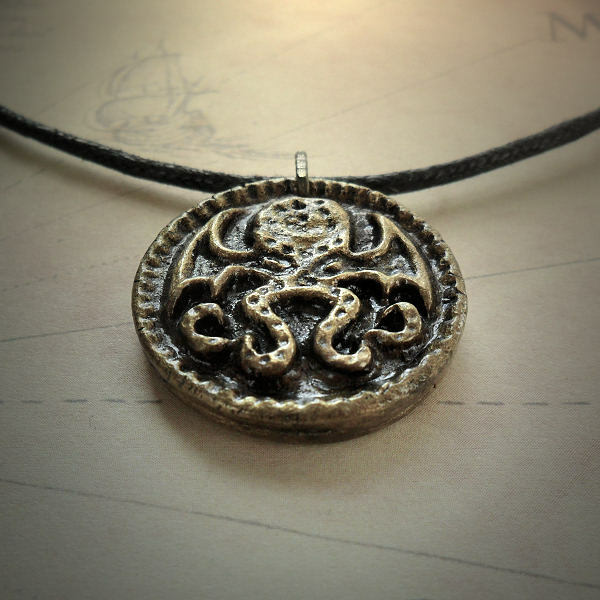 Antique brass effect medallion pendant on a black cord and organza ribbon necklace. 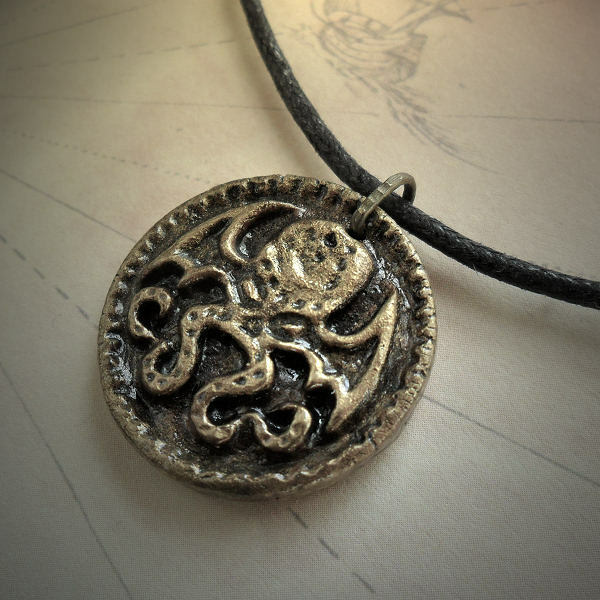 The pendant is cast from my own original design using epoxy clay which is very hard and durable. Further details are added by hand, then painted and varnished. 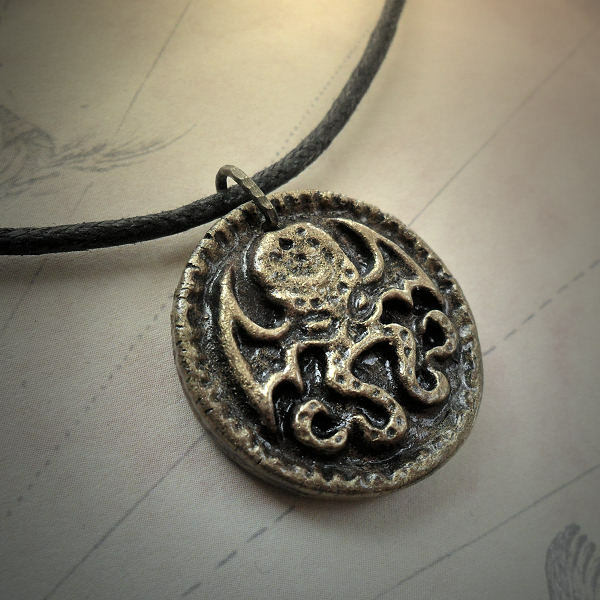 Pendant is 30mm diameter on a black waxed cord with slip knots for length adjustment.